There is something enthralling about good art, that is probably why National Geographic is so popular... at least I think so. The way their photographers capture things is amazing, it truly looks like artwork. In fact, when I flip through a National Geographic magazine or book, I often can't tell which images are new photographs and which are art. That is unless the art is extremely famous. So my fascination with such great images pulled me into a newer book from the National Geographic library, Who's Who in the Bible. This over sized resource is full of the amazing art that portrays different people in the Bible. In fact the whole book is full of details specifically surround the people mentioned in the Bible. 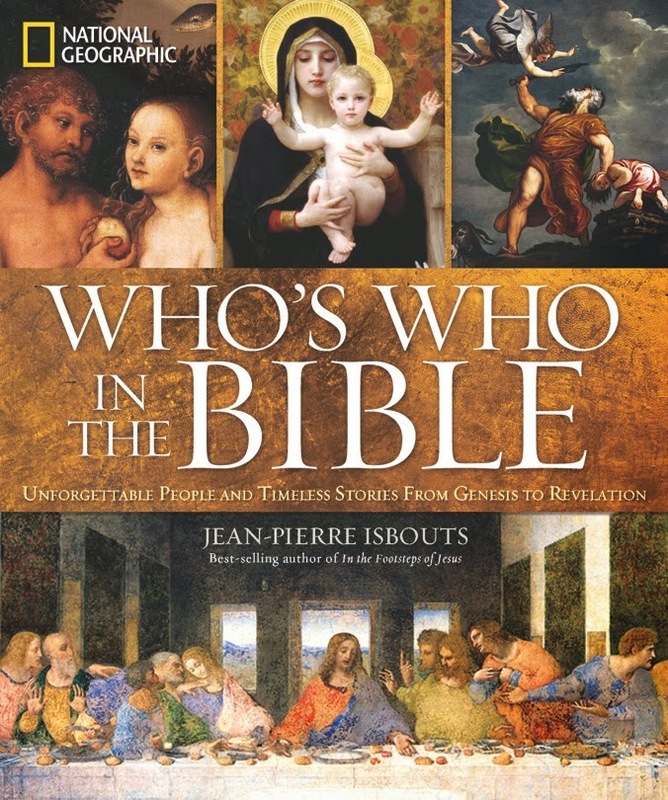 Who's Who in the Bible: Unforgettable People and Timeless Stories from Genesis to Revelation by Jean-Pierre Isbouts focuses on the people in both the Old and New Testaments. This historically driven resource looks at how the people were impacted by the events of their time, instead of simply glossing over them. The book follows the chronological order of events throughout Biblical history, allowing the reader to focus in on certain eras and periods. However, there are also sections that give the reader a basic list of the people in the Bible for quick reference. Overall the images that fill the pages will attract even the youngest eyes as masterpieces by Michelangelo and da Vinci are included among images of today's Rome. There are also large maps to help illustrate the areas in which different people lived. I loved the images, in case you haven't figured that out. Just about every page has at least on picture with a detailed description of the image and artist. Plus there are many call out boxes that help bring more well known points to focus. I also found the maps to extremely helpful. Although many study Bibles include similar maps, the size of this book allows for the maps to be more readable which allows for more interest in them - at least for me. And when it comes to Biblical history, maps play an important role in my understanding. And the fact that this book is laid out in chronological order allows for quick searches when looking for something specific. It allows helps to explain some events simply because they are put in order in such a manner. This book is secular, it is not written as from a certain religious vantage point, and as such there are pieces missing for me. The details are how you would expect to find the details in any history book. And let's be honest here, once the Bible comes to life for you, it's hard to see it in a historical only light. I'd imagine this is how those who have fought in wars feel when they see what history books do to that part of their life in the name of education. As a reference book, I would have liked there to have been more authors, instead of just one. With more authors come more view points and biases which are always evident even in educational pieces. Granted Isbouts is a well-educated writer and teacher, but I'd still have liked to see a few more minds on this one. As much as this is a secular focused historical book, Christian families could benefit to having this source in their homes. As parents teach their children the Bible, there are bound to be questions that must be answered from inquiring little minds. And yes, while the internet is a wonderful resource, this is an opportunity to have a great resource in print to use while answering your children's questions. Especially for homeschooling parents, this is a great book to have to use for research and study. I'm sure it would lead to many great discussions over the details of the Bible. 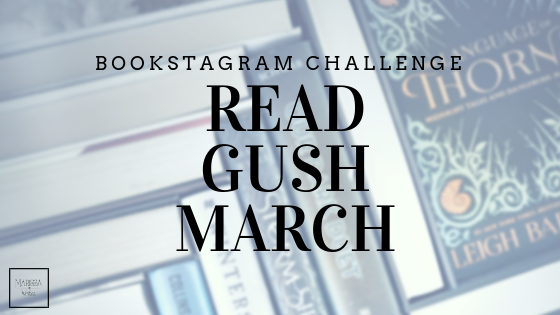 Besides, it's always nice to have a few books that can sit on a coffee table that might lead to good discussions when guests come over right? Want some more reasons? 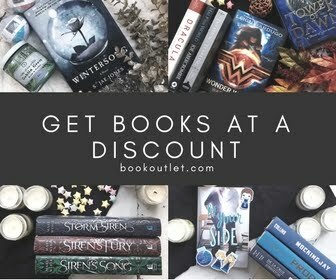 Here are some videos about the book that are great, and they show of the amazing artwork! I personally marked this book a little lower simply because there was so much left out from a Biblical and faith-based view. Granted if you want a resource this is a great tool. And even better if you are looking for some classic art to go along with any study of Biblical history. I would recommend this book to all Christian families who are trying to raise their kids to learn the Bible and the history that surrounded it. This is also a fantastic addition to any family's library that is homeschooling their children. The art in it alone would lead to many great lessons, let alone the valuable information in the text. Plus, the need to teach children how to do research in different formats, not just internet based, is an important part of education and this book is perfect for that. As this is a text style book, the structure would lend it self to a slightly older audience that the children in my house, but by middle school kids could easily use this book to do research on their own. And for those homeschooling it's a valuable tool to teach with to younger kids so they can grow comfortable with higher level writing. 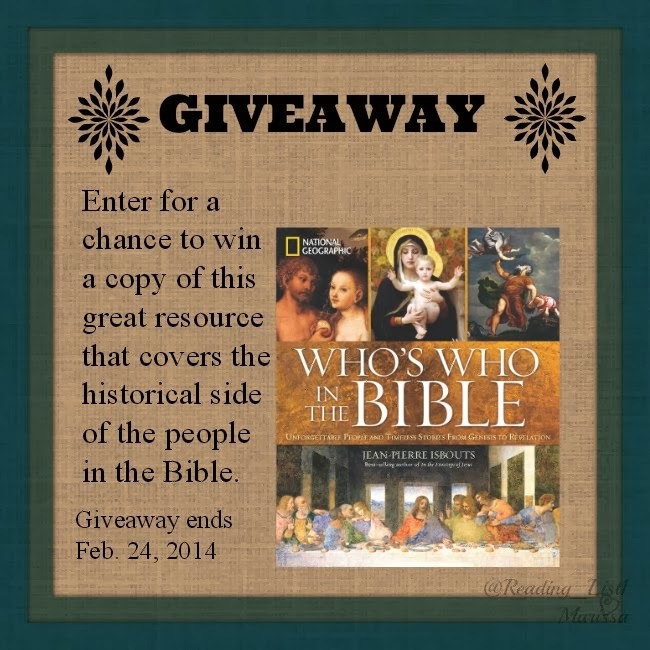 I am glad to say that I am able to host a little giveaway for one hardback copy of this valuable resource! Just fill out the form below... Good luck. Do you homeschool? Do you try to incorporate research with mediums that are not the internet? Do you teach your kids about art? Join the conversation, I'd love to hear from you. *I did receive a copy of this book from the publishing company in exchange for an honest review, and nothing else. All opinions expressed in this review are 100% my own.